This shower controller is designed as a handyman installation not requiring licensed tradesmen. There is no interference with the water pipes. This shower controller is designed as a handyman installation not requiring licensed tradesmen. There is no interference with the water pipes. We recommend that the power be permanently connected to the unit but existing power points such as that used for a ceiling fan can be used without the need or an electrician. 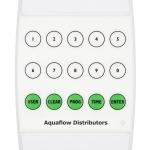 This shower timer is designed for easy installation and does not require a licensed plumber because there is no interference with the water pipes. We recommend that the power be permanently connected to the unit which will require an electrician. This is suitable for Domestic or Commercial use but requires access to the water pipes and a plumber for installation. This shower controller is suitable for domestic use but requires access to the water pipe serving the shower.